When you’re just starting out as a blogger, it feels you’re trying to figure everything out at once – what to write about, how to find your target audience, how you can actually make money as a blogger. 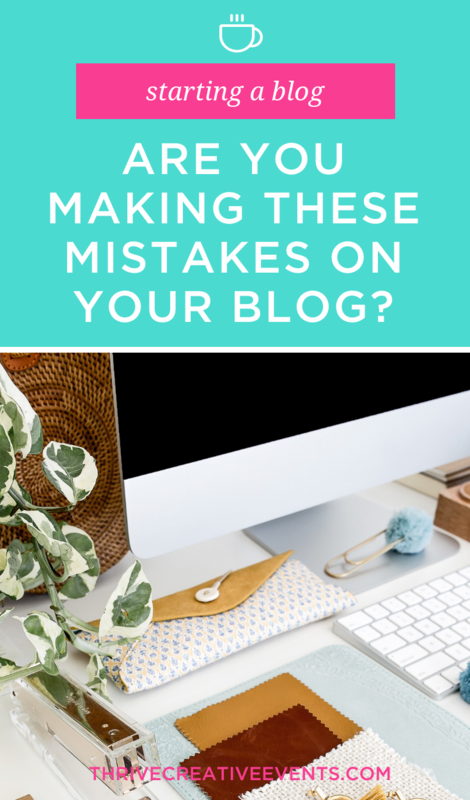 Today I’m going to cover 5 common mistakes that I see on blogs so that you know what to avoid or fix on your own blog in the future! For a blogger looking to generate ad revenue at a high level, page views are critical. And many bloggers don’t think about building an email list at all. Ad revenue, however, is just one slice of the revenue pie available to you. When you build a list of email addresses that you can contact any time you want to make an offer, that’s a whole ‘nother level of revenue you can generate. Even if you really are blogging as a hobby right now, what if you’re in a position someday that you need to monetize it and you’ve missed out on YEARS of collecting email addresses? It is your obligation to provide your readers with the opportunity to get more information from you, easily! They wouldn’t be on your blog if they weren’t interested in what you have to offer. What if you walked into a store and filled your shopping cart up, and you couldn’t find the cash register because the store didn’t want you to feel pressured?! If visitors have to go hunting around for your email opt-in then they’re just going to leave before they ever find it. The more opportunities you have then the more likely you are to capture that email address and be able to build a relationship and serve that person! If you have lots of photos of you on your blog – you rock! You may skip this section and continue to #3. So many of us love to blog because well… we’re introverted. We don’t like to put ourselves out there… but we’re highly creative and have a lot to give. We blog anonymously because what if our mom/ex-boyfriend/boss reads it?!? So we hide behind our blog and put pictures of everything BUT us on our blogs. So I want you to consider this. The only thing that separates you from the other Whole30 recipe blogger is you and your unique personality. You can make such a strong connection with your readers when they can see your face and look into your eyes and picture you in the stories you tell in your posts. That’s what keeps them connected to you. And brands? They want to know who they are paying to promote their products too. I highly encourage you to put a photo of yourself on the homepage and the sidebar of your blog, above the fold, right where people can see it. This does not have to be a professional photograph – although everyone knows that one person who is an amateur photographer with a fancy DSLR camera. Hit that person up and ask them to take a good picture of you. Make it landscape (wider than it is long) so that you can put some text on it and put it right smack on your homepage. But if you can scrape together a few hundred bucks, contact a local photographer (I found someone that does weddings and senior pictures) and have a photo shoot done. THIS IS TOTALLY WORTH IT because you can re-use these images in all of your marketing for the next couple of years. So what if your mom/ex-boyfriend/boss sees it? Are you going to let their opinions dictate whether you become a successful blogger or not? Many bloggers are totally intimidated by self-hosted WordPress because of the maintenance aspect, but I promise you, it’s not difficult if you’ve got a few key things in place. WordFence, a free security plugin that prevents hacks and scans for malware and lets you clean up any problems in just a few clicks. Easy peasy. A backup plugin. BackWPUp is free but cumbersome. ManageWP (www.managewp.com) is a WAY better solution – it’s free version comes with a monthly backup but I recommend you add on a nightly backup for super cheap a month. 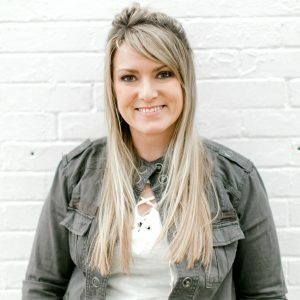 You put so much love, time and energy into your blog! It’s worth the expense to keep it backed up nightly. Second, every time you log into WordPress, look at the Updates menu item in the sidebar of your dashboard. If you see a notification there, you have things that need to be updated. Click on it and follow the steps to do the updates. Don’t worry about breaking your blog – WordPress is waaaaaay more stable than it was back in the day. And if you have a backup from yesterday and you do break something, no biggie, just log into ManageWP and restore yesterday’s backup in a click. Pro tip – If you wrote today’s blog post after yesterday’s backup, copy and paste the post into another document so you can re-add it after you restore your backup. I do it. It totally saves me time. …please, for the love of all that is good in the world, copy and paste that content into another document that you have backed up to the cloud. A free Google Drive account is a great choice for this – you can use Google Docs to save copies of your blog posts. Your domain expires, you don’t have the login info for the account, it gets released and sold to someone else and you don’t have access to your blog content. Your credit card number changes, you don’t update your payment info, their attempts to notify you land in spam and your blog is shut down. Your web host screws up and marks your blog for deletion. Your web host restores a backup from 3 months ago and wipes out your last 12 blog posts. Having all of the content that you worked so hard to write stored NOT on your computer, but in the cloud, is like your little “just in case” insurance policy for when Mercury goes into retrograde. You’re not in love with your fonts. That one shade of blue is just somehow… off. I’ve heard this called “Creative Avoidance”. It seems like you’re busy… but the things you’re working on only matter to that voice in your head that keeps telling you it’s not good enough. It’s those little details that only a professional graphic or web designer would notice. Your blog does not have to be 100% perfect before you can start sharing your content. Your readers care about the story. The things they can learn to improve their lives. The connection with you. Fix things as you go. No one’s blog is perfect, no matter how perfect they seem! Yes, there will always be people who judge a book by its cover, but if you have the right kind of opt-in, the know, like, and trust factor going on, and the right kind of content, your true readers will forgive a typo on your blog or some weird spacing. No one is perfect – please don’t let that stop you from sharing your gifts with the world!